located in beautiful Manheim, Pennsylvania. 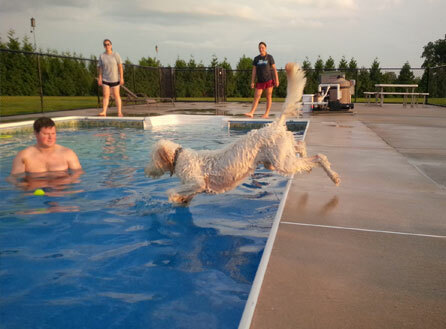 With humble beginnings and a strong faith, the business has grown to become the areas finest pet vacation resort. Founders and co-owners Gary & Kim Buchen live on-location in their restored 1800's farm house. 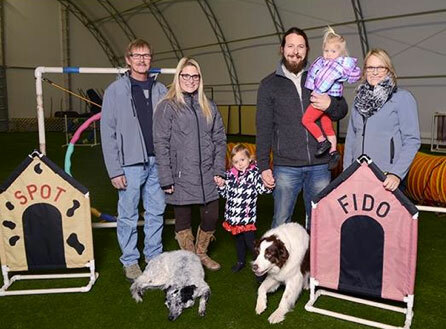 Their daughter and son-in-law (and co-owners) Dashia & Cody Stauffer, live in Manheim and can be found daily around the Club doing what they love best, caring for you and your pets. In 1991, Kim began grooming dogs in the familys 4-car garage, which her husband Gary graciously remodeled. A few years later, Kim taught Dashia the art of dog grooming. Clubhouse! Brand new modern rooms with TV, indoor gym, and Feline Villas made this one of the coolest parts of the Club! 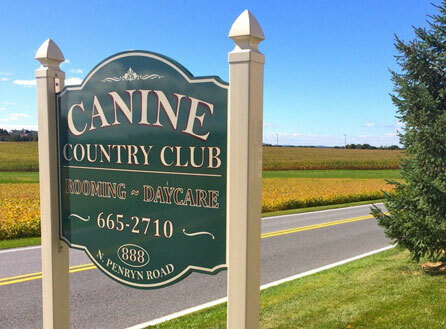 Today we continue to strive for quality and excellence in all of the services we offer here at Canine Country Club. It's our promise to you that we will do our best to insure that your pet has only the safest and most enjoyable experiences at the Club! We recognize every pet is an individual and needs to be cared for in different ways. Every member of our staff receives extensive training in animal behavior, handling, and communication. We take pride in being exceptionally clean and organized in every aspect at the Club. Thank you to our wonderful clients and their pets for helping us be the best that we can be. We give God all the glory and encourage you to follow the dreams that God has given you! And rememeber... D.O.G. Depend On God!